It's hard to believe that its eight months since we were stood at Seel Park on a wet, August Saturday afternoon watching Mossley's return to the Unibond Premier Division getting off to a less than auspicious start against Ilkeston. However, whilst rueing how fast the season has gone by on one hand, on the other its end can't come quick enough. But here we are, ready to close one chapter in the cub's history and start a new one. And that page break comes at the International Athletics Stadium where Mossley will face Gateshed, a team that recently put four unanswered goals past the Lilywhites at Seel Park. Normally at this point in a preview I'd have a look at recent form, etc. but as it's the last game of the season and neither team has anything riding on the outcome, anything could happen. Not only that but after forty six other previews (I missed one) I've finally run out of ways to make them even remotely interesting to read. Prediction: An "oh, what could have been" win to end a real downer of a season on a very low high. I've got to say that as viewing experiences go, watching a match via messages posted on a forum by someone in London who's receiving text updates from a spectator at the game was a new one. From what I read it certainly seemed an edge of the seat, or terrace step, affair with both sides wracking up the chances; Mossley themselves hitting the bar twice in what appeared to be a pulsating second period. With the commentator on the radio reaching a near orgasmic frenzy as the Liverpudlian Wrinkly Tickler put the his side ahead in a game near Trafford Park, a depression started to sink in but it was almost instantaneously lifted as news of M&M's late effort popped up on the Fleetwood forum. It might be too little too late in an attempt to avoid the drop but it was a welcome win nonetheless, even if it did end our good friends hopes of making the play-off's. A big well done to the players and to those who managed to make it up to the game last night. Fingers crossed that we can end the season on a high note on the opposite side of the country this coming Saturday. The penultimate match of Mossley’s brief visit to the Unibond Premier Division sees them travel to the Fylde coast in a game rearranged from last February. Since that day two months ago, when the game was called off an hour before it was due to start, Fleetwood have put together a sequence of results that’s enabled them to make an assault on one of the four play-off spots that are available. Whilst this was going on Mossley were cementing their place in the First Division for next season, something they managed with three games left to spare. Last month saw the first meeting of the season between two sides at Seel Park but despite a battling display in which they controlled most of the possession, the home side fell to a solitary goal. It was a one goal deficit that also saw off Mossley's League Cup aspirations last November at Highbury, a competition that Fleetwood went on to win against Matlock last week. Prediction: We’ve got to win at least one more game before the season finishes, haven’t we? And ever the eternal optimist I think we’ll hit the 35 point mark (that plenty of web sites have us reaching by seasons end) before the clock strikes ten at night on Tuesday. Apologies if it seems I'm trivialising an horrific disaster but being one of the few people left writing about Mossley's on-pitch exploits it's hard not feel like I'm on board Titanic on a cold April night in 1912. We're sinking fast, the lifeboats have gone, Bruce Ismay's sat in one ready to blame it all on the crew, chaos is ensuing and the Captain's called Smith. Yet here I am, like a member of the ships string quartet, attempting to add a surreal air of normality to proceedings whilst we accompany the other unfortunate souls who are going down with the ship. Not so much 'Nearer To God Than Thee' as we head into the murky depths of the Unibond First Division but 'Nearer To Quorn Than Leek'. It would be nice in what could possibly turn out to be Mossley80's final match report of the season to be able to reflect on a real rip roaring final match of the 2006/07 campaign at Seel Park - a last hurrah before heading back from whence we came twelve months ago. Sadly though, what transpired on a warm and sunny Saturday afternoon was a game that made common or garden pre-season friendlies look like gladiatorial battles to the death. The referee attempts an early escape from the mundaneness by getting injured. Twelve minutes had dragged by when a sloppy bit of play in midfield handed possession to the visitors. Ossett quickly moved the ball up the pitch and, from just outside the edge of the area, Hayward curled the ball around Steve Wilson to give the Yorkshire side the lead. Mossley then embarked on a short spell of pressure which saw them win four corners in the space of two minutes and it was from the last one that they came closest to scoring. Joe Shaw managed to get on the end of the loose ball following a knock down only to see his acrobatic effort cleared off the line by a defender with the goalkeeper nowhere to be seen. Joe Shaw's effort is cleared and the appeals that it crossed the line fall on deaf ears. Not long after the game was effectively ended as a contest. Town dissected the home defence with a precision only matched by the highest calibre of surgical lasers and Hayward was once again tasked with dispatching the ball past Steve Wilson from outside the area. Hayward scores Ossett's second. Or it could be the first... No, it's definitely the second. Possibly. At this point some of the few people who were at the game and are now reading this may be commenting on things not happening in that order and it's quite possible that they didn't. Or maybe they did. The truth is I can't remember as all but the tiniest percentage of my brain power was focused solely on to trying to avoid slipping into a football triggered narcoleptic attack. All I know is that those events did happen. On the half hour mark Steve Burke went close to halving the deficit with a shot from the edge of the Ossett box that flashed just wide of the post but it was to be the last notable bit of action, other than the referee being substituted at half-time due to injury, for a good hour. Indeed, if it wasn't for the noble art of conversation it's quite possible that the crowd could have slept through Ossett having a goal disallowed for offside. Goal number three hits the back of the net before being chalked off for an offside. Steve Burke once again had an effort fizz the wrong side of the post with a shot from twenty yards before being shown the red card on the say so of a linesman for an off-the-ball offence. One minute later the same linesman was flagging for the referee's attention again and this time Steven Shiel was the recipient of the referees marching orders, sent from the dugout to the stand. After this brief moment of unnecessary fluster the game returned to being a nondescript affair with Mossley's few forays forward being brought to halt by Ossett captain James Cotterill attempting to hit Micklehurst with his clearances; the former Barrow defender obviously having learnt during his brief time in prison earlier this year for breaking a Bristol Rover's players jaw in an FA Cup tie to put distance between himself and dangerous balls. As the match entered its death throes, substitute James Turley's harrying of the Town defence presented him with the opportunity to force Skiba into making his first save of the half but the sound of final whistle that soon followed was greeted with a sigh of relief normally reserved for those occasions when you enter a public lavatory and don't have urine sloshing over the tops of your shoes. Being truthful though, did you really expect anything different? Crowds have dropped by a third over the last two months, victories are rarer than affordable housing and over half of the team have been publicly labelled as not good enough by the manager in what has to be the worst motivational address since Cardigan told his troops that the ration problem would sort itself out naturally after a charge into a place called the Valley of Death. Having spent the best part of the last week weighing up who to give my vote to in the 'Player of the Season' awards I almost forgot to do this preview, so apologies if it feels slight. This Saturday's game sees the conclusion to the home half of Mossley's brief return to Unibond Premier Division football as Ossett Town make their first visit to Seel Park since 1994 when Mossley ended their dreams of Wembley by beating them 3 - 0 in an FA Cup Preliminary Round replay. In the previous meeting between the two sides this season, Town ran out 3 - 2 winners at Ingfield thanks to a last minute penalty after Mossley had clawed their way back from being two goals down at half-time; Turley and Furnival giving the Lilywhites hope of salvaging something after one of the worst 45 minutes of football played by Mossley this season. At that point. At that time Ossett were kicking around the lower half of the league with us but as the season draws to a close they sit slap bang in mid-table in eleventh spot, a whole nine places and twenty six points above us. Their 'average' season is also reflected in the current form table where they, coincidentally, sit in eleventh position too - the averageness continuing with Town picking up two wins, draws and defeats in their last six games. The Yorkshire side enter the match on a three game unbeaten run during which they haven't conceded a goal. Mossley on the other hand face Ossett on the back of three straight defeats and haven't kept a clean sheet since playing Radcliffe a month (five games) ago. Prediction: After the improved showing against Witton last Saturday it looks as though there may be a bit of pride before the fall. Just for a change I'll say that Ossett will... lose. Just short of eight months after it all started, Brunnhilde's finished expressing her delight at being reunited with Siegfried and the audience are eyeing one another anxiously in an attempt to beat the stampede to the taxi rank outside the theatre. It's over. It was always going to be a tough ask to come away from Witton Albion with the win needed to keep our slim hopes of avoiding the drop alive. And despite a spirited performance from Mossley that was worthy of a point at the very least, a defeat to the Champions Elect, along with results at various other clubs up and down the country, has condemned Mossley to life in a Unibond First Division next season. Despite starting the match the brighter of the two sides, continually pressuring a nervy looking Witton side into making mistakes, it was Mossley's Steve Wilson though who was the first keeper to be called into action. A through ball caught the visitors defence square and Wilson blocked Mike Moseley's effort close to the edge of his penalty area before Steven Shiel mopped up the loose ball. The best chance of the half though fell to Mossley. Clive Moyo-Modise was put clean through on goal but the closer he got to the Witton box, the slower he got and as reached the edge of the area his options ran out, the ball became trapped under his feet giving the defence the opportunity to crowd him out and reclaim possession. Albion's only other effort of note was a shot that went high and wide before the Lilywhites saw the half out as they'd started it - pressing their hosts back and winning a series of corners and free-kicks around the box. However, Kennedy in the Witton goal remained under employed as only a header from Furnival that flew a good foot over the cross bar came close to giving him something to do other than collect crosses and take goal kicks. News of Ashton's lead at home to Lincoln took some enjoyment off the half-time mood but Mossley's improved display, coupled with Witton's nervy and sloppy performance, gave some hope that we wouldn't be heading back along the M56 empty handed. It didn't last long. Two minutes into the second half Mike Moseley lost his marker at a free kick and had the simple task of heading in at the far post to give his side the lead. Yet another goal to add the list of ones conceded before the half-time tea cups have gone cold. To Mossley's credit though they immediately went in search of an equaliser and the pressure they exerted eventually paid off eight minutes after going behind. 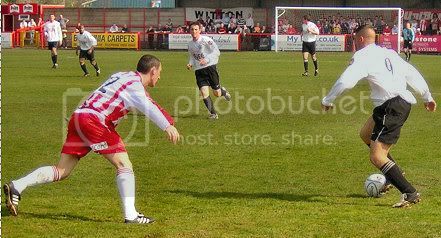 Another Mossley attack appeared to be heading down a cul-de-sac when three Witton defenders closed Steve Burke down as soon as he received the ball on the edge of Albion's box. But as the tackles came in the ex-Bury man produced a superb turn that worked an opening for a shot and after steadying himself he placed the ball low past Kennedy and into the bottom right hand corner of the net. 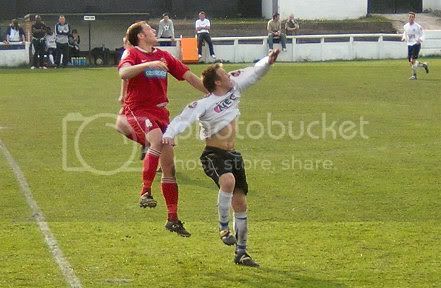 Steve Burke (out of shot) puts Mossley level. It was no more than Mossley deserved and as one of the extraordinarily small band of travelling supporters pointed out, the Witton's players body language was that of a side who looked beaten and not level with over half an hour to go. Mossley's propensity for blowing a lower appendage clean off with a shotgun can never be discounted and not long after drawing level they practically gifted the home side the lead. Under no pressure at all Mossley sloppily conceded possession in midfield and allowed Witton to attack down their left wing. The resultant cross to the near post could best be described as poor but a disaster that looked to have been averted suddenly honed back into view as Steve Wilson spilled the ball. The Mossley keepers attempts to recover only succeeded in pushing the ball to Warlow on the edge of the six yard box and with a virtually open goal to aim at he took his side one step closer to the title. Wilson or a defender on the line (it was hard to tell from our vantage point) stopped Witton from putting the result of the game beyond all reasonable doubt before Mossley rallied once again. But with the home side defending in increased numbers it was difficult for the Whites to get a clear sight of goal and time and again a shot was either blocked, charged down or deflected off for a corner. 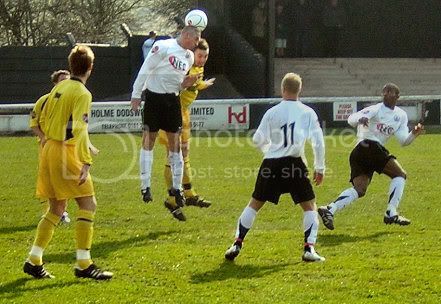 It was following a corner that Mossley had strong claims for a penalty turned down as Jonathan Smith was dragged to the ground before he could jump to meet the cross. Whether the referee didn't see it, believed it to be an innocuous challenge or realised that with our record at penalties we'd just be wasting valuable equaliser finding time is something that will be forgotten in the annals of time. What won't be though is how close we came to salvaging a point in the final minutes of the match. James Turley picked up the ball twenty yards out and curled an effort through a crowded Witton penalty area that agonisingly bounced back off the upright with Kennedy rooted to the spot. Everyone can only watch as the ball comes back off the post. 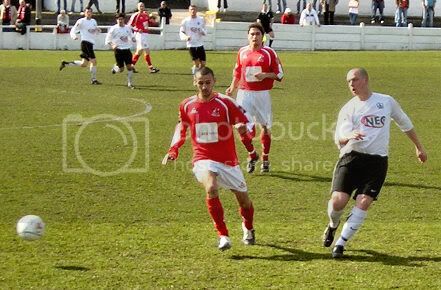 Admittedly we were helped by an edgy looking Witton side. I could make a sly comment about them looking anything other than title winning material but in doing so, it would be remiss of me to recall that at this stage last year we were hardly ripping up trees as we didn't so much stumble over the line but got carried over it by Shepshed Dynamo. It would be nice to end the report by saying there was enough on show in this game to give hope for next season but the likelihood is that few, if any, of the players who turned out today will still be with us. Which is a shame really as contrary to one persons opinion at least, there's the basis of a good side at the club waiting to be moulded. Mossley manager Jason Beckford says he will consider his own position at the end of the season after the club’s almost inevitable relegation from the UniBond League premier division. Two defeats over the Easter period has left Mossley 12 points adrift of safety with only four matches left and an inferior goal difference to their rivals. Beckford says it has been hard for the Lilywhites, claiming they have been punching above their weight. There has been a fine line between success and failure, something underlined by 16 of Mossley’s 24 league defeats being by one-goal margins. “The irony is that Peter Wright, who remains our top scorer, left us to join Kendal because they offered him more money than we did - and he scored against us on Monday. 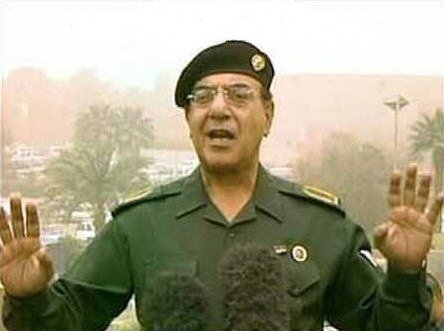 That sums up our season,” he explained. Beckford tore into the players following Monday’s 3-1 league defeat at lowly Kendal Town which effectively sealed their relegation. He said: “There have been only six players I have been able to rely on week in, week out. The one comment amongst many that stands out is, "A really good test for me personally." Yet here we are eighteen league games down the line (in which we've picked up 16 points, exactly the same number as we had done from the twenty fixtures prior to the Frickley match) and its all change. He's failed the test yet its everyone and anything else's fault. It appears that ending the season a high has been sacrificed in an attempt by the manager to expunge himself from any blame for a calamitous season; that future employment comes before the welfare of the club. I do feel though that this attempt to try and come out of a crappy season smelling of roses may backfire. In trying to absolve himself of any blame he's basically admitted that he can only manage successfully when there's plenty of money swilling about. Given that there are few clubs with finances he seems to crave, it may be some time before he gets another opportunity to manage a club again. Still, I'm sure he was fully aware of this when he spoke to the Chronicle. I'll end by referring back to the comment, "I feel sorry for the Rigby family who have worked so hard for 10 years to turn round the club’s fortunes." Apparently not sorry enough though to stop picking up his wages every week despite knowing full well (according to his Chronicle interview) that the team he'd assembled wasn't good enough and that he couldn't work with the budget he'd been given. In fact I wonder if at any point over the season he actually told the clubs owners that the team wasn't up to scratch and was never going to be within the paremeters he'd been set. That 'sorry' has a hollow sound doesn't it? Here we go! The first of a series of four games that we have to win if we're to have even the slightest opportunity of avoiding the drop through on-pitch matters alone. And what better way to start this mini-run than by visiting a team that we've never beaten away from home in the Northern Premier League? 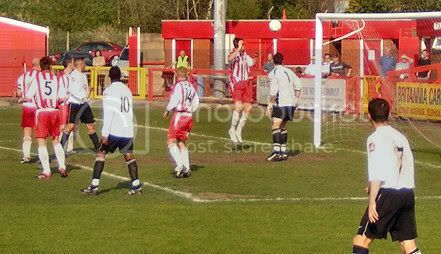 In the previous twelve meetings at Witton the 'Albion' have run out winners on no less than ten occasions, scoring twenty five goals to Mossley's eight in the process. In fact we've only beat them four times in 25 encounters during our time in the NPL. You have to go back thirty five years to our final season in the Cheshire League for the last time we returned from a match with Witton with something greater than a point. 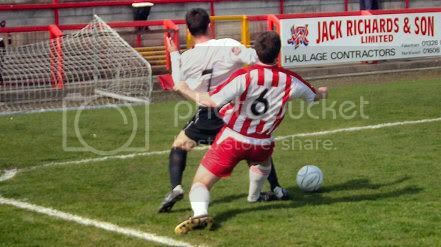 We do have more recent experience though of returning from Witton with a win. During the 98/99 season Nantwich Town played their home games at Wincham Park and Mossley emerged from the fixture between the two sides with a comfortable 4-1 win. Witton's Wincham Park ground once went under the name of the Bargain Booze Stadium; a sponsorship deal that was the subject ridicule in the best selling U.S. sports magazine 'Sports Illustrated' by being described as a 'Sign of the Apocalypse'. 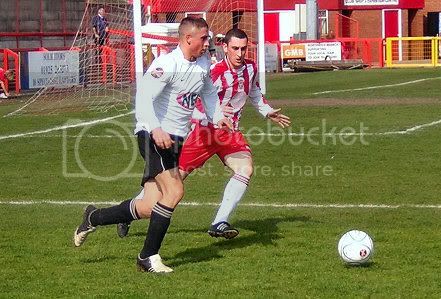 These days they play at the slightly less amusing Brittania Carpets Stadium. Mossley's cause isn't going to be helped by coming up against a side that's in with a real chance of claiming the Championship title too. Albion currently lie in second place, two points behind Burscough but with two games in hand as well. They've also claimed sixteen out of a possible eighteen points in their last six home games but those two dropped points came in their last game with Grantham, a side that has already been relegated. Prediction: Staring relegation in the face. Up against a form team. Supporters that have almost been brow beaten into submission. A squad that has just been slated in the paper by a manager desperately trying to whitewash an entire season so that it doesn't discourage potential employers. What better time then to lay one hoodoo to rest and kick start the hopes of a late surge to safety? A Mossley win. After shattering Wotan's spear and negotiating the impenetrable fire to reach the mountain top, it seems that Siegfried has removed the breastplate from the rather rotund female form of Brunnhilde, declared “Das ist kein Mann” and awoken her from her slumber. Now I appreciate that those of you without a passing knowledge of part three of Wagner's Ring Cycle will probably be wondering at this point what on earth this has to do with Mossley, so bear with me as I explain. What happens next in the Teutonic bum-number is that Brunnhilde joins Siegfried in a forty minute love duet that brings the opera to a close, a mere five and a half hours after it began. In other words: the end is in sight and the fat lady is about to sing. See, it's not as tenuous as you might have thought. If we're being truthful though she’s been gargling in readiness since Christmas, particularly after the derby double header with Ashton United when Mossley snatched a defeat from the jaws of victory at Seel Park and settled for a point in the return fixture at Hurst Cross while the hosts successfully pushed for three. 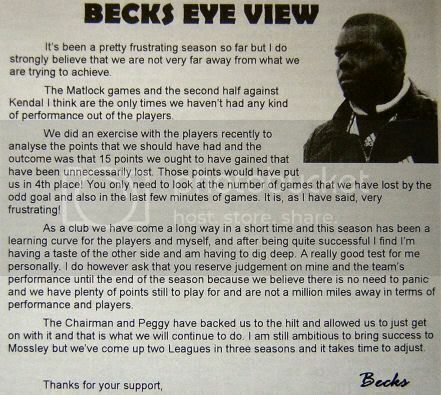 Admittedly those two defeats sandwiched an impressive 4-0 victory over Frickley Athletic but looking back on the season as a whole, the fears that some people had at the time of it being just an anomalous result sadly appear to have been proven correct. Whilst safety for Mossley is still a theoretical possibility so is faster than light travel, though it has to be said that the chances of the latter happening within the next three weeks are probably greater than that of the former. With text messaging providing a more than adequate link between events at Hurst Cross and the Planet Conservatories Stadium the decision was made, for a few of us at least, to forego the delights that a Bank Holiday Monday trip up the M6 would undoubtedly bring in favour of the ever so slightly shorter journey across Luzley to watch Ashton United take on Leek Town. At nine minutes past three, the exact same moment that Leek were opening their account for the afternoon, a message arrived stating that Kendal had taken the lead. Not long after the news of a second for the Cumbrian side came through. When the SMS tone sounded again four minutes later it has to be said that we were fearing the worst and we weren’t to be ‘disappointed’. The next message announcing that Clive have pulled one back for the Lilywhites brought a little cheer but as Leek proceeded to take Ashton apart with ruthless efficiency, further messages proclaiming news of a breathtaking Mossley comeback were sadly lacking; no resurrection for us this Easter. So whilst it may not have been the final nail in the coffin, still breath in the body, etc. the defeat to Kendal has left Mossley's hopes of Premier Division survival based on a long series ifs and ifs. One of those ifs is dependent on Ashton failing to pick up a point for the rest of the season, something which looks likely to happen judging by their performance at home to Leek. Though the Robins sparked into life towards the end of the game, pulling one goal back before displaying a Mossley-like acumen in the art of taking penalties by blasting a spot-kick high over the bar, you can't see them picking up another point before the end of April. 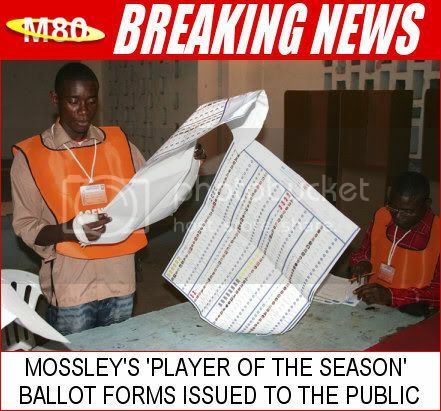 Unfortunately the same can be said of Mossley which automatically makes most of the other ifs in the equation redundant. I feel I should be angry or at least upset at the impending prospect of life in a lower division but as its seemed for so long like an inevitability I think I've developed an immunity to the despondency it brings. Having said that it wouldn't surprise me if there was a twist before the end of the season that sees the last straw of safety dangled tantalisingly in front of us again to clutch at. But until (and if) that happens lets wait with dignity and humour for Brunnhilde to bellow forth and then join in with gusto and look forward to starting all over again next season. An extremely brief preview for this game I'm afraid. Well it is Easter Sunday. Mossley's Bank Holiday trip to the ludicrously named Planet Conservatories Stadium is something of a 'win or bust' game for the Lilywhites Unibond Premier League survival hopes. Victory for Mossley will narrow the gap down to six points on their hosts while a defeat (coupled with an Ashton win at home to Leek) will almost certainly condemn them to life in the First Division next season. There's hope for Mossley in that during the time that Kendal have been Kendal (and not Netherfield) they haven't lost a match there. Add to that the last time Mossley pitched up on the edge of the Lakes needing a win two years ago, they achieved it with seconds to spare; Leon Mike firing in a twenty-five yard free kick to give the claret and blues a 2-1 win. Prediction: A much needed win. Sadly though, the reasons for doing so are exactly the same reasons as to why I love it as well. How many other things in life are there, apart from job applications to local authorities, where being the best on any given day is no guarantee of success? A game of contrasting opposites where it can be unpredictable and yet so predictable at the same time - a paradox that could give even Stephen Hawking a headache if he ever left the lucrative world of quantum physics and cartoon voice overs and took up football punditry. And lets be honest, he'd be able to pronounce players names better than David Pleat. It's a cruel game and there's no better evidence of it than this match. With the game barely a minute old Steve Brackenridge forced Fleetwood keeper Danny Hurst into making a superb save to stop his shot from the right wing from creeping under the crossbar, and in doing so set the tone for not only what was to follow in the remaining forty-four minutes of the half but the majority of the game as well. James Turley was the next Mossley player to be denied by an instinctive save from the Town keeper as they continually pressed the visitors back. For a side with aspirations of making the play-offs, Fleetwood's defence was looking shaky at best and Steve Burke twice created something out of nothing by closing them down as they dithered on the ball. It was from the second of these that the Lilywhites should have taken the lead. Burke blocked Hurst's over casual clearance and the ball fell to the feet of Moyo-Modise on the edge of the six yard box. With the goal at his mercy the Rochdale loanee elicited a large groan from the majority of people inside Seel Park by managing to send his shot very high and very wide. And things weren't about to get any better for Clive. The latest in a series of photos taken this season for a collection to be entitled 'Tableau of Despair'. More panic in the Fleetwood area saw an outfield player try and clear the ball with his hand giving the referee no other option but to reward Mossley's efforts with a free shot on goal from twelve yards. What did amaze me though was the cheer that greeted this decision. Had people forgotten what our record is like from the penalty spot? However, records are there to be broken and with our regular spot-kick missers no longer at the club, M&M stepped up to become the latest player to attempt to break the jinx. Twenty seconds later he was the latest player to have failed to have done so. It was a good save from Hurst but it has to be said that it wasn't the best penalty in the world either. The rebound caused a bit of a scramble but another good chance had gone. Penalty number... no, I've lost count... of the season fails to hit the back of the net. With Mossley's relationship with penalties not unlike Superman's to Kryptonite, if we're awarded another penalty in the final five games of the season could we not swap it for a corner or a free-kick just outside the box instead? For the remainder of the half the bombardment of Park End goal continued and the list of players who came close to breaking the deadlock grew almost by the minute - the fixture rapidly changing from Mossley vs. Fleetwood Town to Mossley vs. Danny Hurst. The second period had barely begun when Brackenridge went close to bettering his effort at the start of the previous half. After losing his marker at the back post he managed to get a header on target only to see it bounce up off the post and scrambled to safety with Hurst well beaten. As more opportunities flew past the wrong side of the goal posts though the nagging voice in the back of the head that kept saying that Fleetwood were going to pinch it grew increasingly louder. The only good thing was that it didn't smugly say 'I told you so' when Fleetwood did. Steve Brackenridge's header makes its way towards the goal post. On the hour mark Danny Trueman was called into making his first save of the game, arching himself backwards to stop a shot (not too dissimilar from Brackenridge's first minute effort) from dropping just under the bar. With their second shot on target, Fleetwood scored. Immediately following the break-up of the Cooke/Pilkington partnership that had controlled the central midfield for sixty minutes (the former succumbing to injuries accrued over the course of the game), old and unwanted habits came back. Rather than continuing to push Town back and dictate the game we dropped deep, stood off the men in red shirts and in doing so gave Fleetwood an invitation they almost snapped our hands off in accepting. Enjoying their first unpressurised spell of the game, Fleetwood worked the ball out wide to Milligan on the left who was in turn given time to look up and play a, admittedly brilliant, cross field ball to Brown. With Mossley caught completely flat footed the number eight, who up to this point had been completely anonymous, charged into the box and rolled the ball past Trueman. As you'd expect, this had a demoralising effect on the home side and for fifteen minutes we looked a beaten side. Instead of pushing for the equaliser Burke and M&M became isolated figures up front as Mossley's new game plan appeared to be to try and hold out for a 1-0 defeat with as many men behind the ball as possible at all times. At a stage of the season where it really is now a case of 'nothing ventured, nothing gained' it was incredibly frustrating to watch a side, who let's not forget spent the majority of the game hanging on desperately to a 0-0 draw, being given every opportunity to make their undeserved lead a more substantial one. Trueman makes a stop from a second half free-kick. Thankfully the spirit in evidence in that first hour reappeared with twenty minutes to go and Mossley began to make the 'sea-levellers' sweat again. Chance after chance came and went a regularity that users of public transport in the Mossley can only dream about. When it wasn't the final ball or shot letting us down it was Hurst flying across his goal line to push the ball behind for a corner. I'm almost certain that after this match the biceps and triceps of the Mossley supporters will be looking more toned than they had previously been due to the number of times that hands were placed on the head through disbelief. Perhaps the biggest compliment that can be paid to the pressure Mossley were exerting is that with quarter of an hour to go Fleetwood started time wasting; Hurst spent two minutes setting up a goal kick, substitutions were marginally quicker than the length of time it takes Jupiter to orbit the Sun and at one point a three on two break in Town's favour was spurned in order to take the ball in to the corner. After two minutes of injury time the final whistle went and for the first time this season a defeat actually felt like a punch to the stomach. I know we've lost by the odd goal a ridiculous number of times this season but this one was gut wrenching - this one was unlucky and unjust. This may sound harsh but I firmly believe that if the substitution hadn't taken place, Mossley would have had at the very least a point to show for their efforts in this match; there's no question that it was the turning point in the game. I'm sure that if we had the time and money we could get the result overturned in the European Court of Justice but I said way back at the start of this report, football is a cruel game. As other results fail to go our way and the contour lines on Mossley's map to safety start to grow closer and closer together, the inevitable is starting to look, er... inevitabler(?). If, and that's a big if, we can reproduce the performance from this match in each of our five remaining games then there's still a chance that we could pip Ashton United to the lottery spot of fourth bottom and still be playing Premier Division football next season. On the other, if we'd performed like that in just a few more of the previous thirty six league games this season we might not be in the predicament we are. With three weeks left till the end of the 06/07 Unibond League campaign it seems strange to be meeting a side for the first time when there's points at stake, but thanks to February's postponement that's what Mossley and Fleetwood Town will be doing this Friday. Last year a Nathan Pond goal separated the two sides at Seel Park in what was a relatively hot tempered affair. On the pitch at least. Off it there was another display of the camaraderie that has built up between the two sets of supporters over the last few years. I was going to go into some lengthy pondering as to why this has happened but the big question should be: why doesn't it happen more often at non league level? Anyway, I hope the Fish Battalion enjoy (but not really enjoy) what could be their last visit to Seel Park for some time. In Mossley's last two wins, one of the officials has come from the town of the team we were to play. Fingers crossed that one of the men (or women) in black on Friday has had to beat the Bank Holiday traffic on their way down from Kendal. After a mid-season dip in form Fleetwood have rediscovered the winning habit and are currently making a late push for a play-off spot. In fact with the teams at the top finding new ways to shoot themselves in the foot with every passing game, there's an outside chance that Town could claim automatic promotion. Let's not forget that they did it last year when the odds seemed against them. This time round however Mossley stand in the way: twice! No... don't laugh, I'm serious. Fleetwood enter the game on the back of a twelve match unbeaten run and are currently the second best team in the league on form (fourteen points out of a possible eighteen) but what doesn't make good reading for Mossley fans are the teams either side of them - Gateshead and Guiseley, two teams who've stuck nine goals past the Lilywhite's in the last month. Mossley on the other hand have recently rediscovered how to win home matches after a barren five month spell without one. Unfortunately as there's no one left to play in the bottom four (with the possible exception of Kendal) we'll have to hope that beating good teams is next on the list of 'things we have to learn to do very soon'. Prediction: An apple-cart upsetting win for the Lilywhite's. No, I'm not on any form of medication. Whilst the game wasn't without its moments, the 3-2 scoreline does disguise the fact that they were few and far between. For a team that was approaching the end of its journey along the relegation 'green mile', Grantham certainly weren't going quietly. For thirty minutes they not only controlled the match but had enough chances to have made Mossley's task to get back into the game not an impossible one but an uphill one all the same. The first in a line of wasted opportunities for the Gingerbread's came in the fourth minute when a goalmouth scramble ended with a Lovell shot being cleared off the line. Quarter of an hour later Danny Trueman was then called on to make two good stops from Rodman and Howell but he could only watch as another effort from Blair inched its way past the post. Danny Trueman keeps the score level. Mossley's contribution to troubling the scoreline in the opening half hour amounted to nothing more than the odd corner and an in swinging effort from Steve Brackenridge that caused the Grantham keeper Chris Jones no undue problems. The breakthrough though came in the 34th minute and with not a small amount of help from from the aforementioned custodian. A cross into the box from the right should have been a bread and butter catch for Jones but inexplicably, instead of doing what most people under no pressure would have done and caught it, he tried to punch it away and if you'll excuse the pun, made an absolute fist of it - hitting the ball into the ground and sending it back spinning off for a cheap corner as well as somehow managing to injure himself in the process. After the brief stoppage for treatment, Clive Moyo-Modise opened the scoring by flicking the ball into the net from the resultant flag kick with the back of his heel from six yards. Mossley should have been given the opportunity to double their advantage from the penalty spot at the start of the second half. Clive M&M was brought crashing to the ground after beating his marker in the box in what looked to be a nailed on penalty, something the assistant referee appeared to confirm in signalling for a spot kick. Unfortunately the referee was having none of it (even after conferring with his linesman) and a goal kick was awarded instead. The assistant referee signals for a penalty. The second goal wasn't to be long in coming though. Ten minutes into the final period Steve Burke received an inch perfect through ball from Joel Pilkington only to his see shot charged down at the edge of the area; the loose ball falling kindly to M&M and he made no mistake in hammering the ball past Jones for his and Mossley's second. Clive Double-M's (out of picture) shot hits the back of the net. The third goal came with fifteen minutes to go. Some quick thinking after being awarded what was a very soft free-kick six yards outside the corner of the Grantham box gave Burke the opportunity to put his name on the goal sheet - the ball hitting the back of the net whilst Grantham were still trying to line up their wall. Another photo where the scorer's out of shot. And everybody else is out of focus. Trust me, this is Steve Burke's goal. At this point it should have been game over but as the previous match at Guiseley and many others this season have shown: football's a ninety minute game. With relegation now an absolute certainty rather than the strong possibility it was before the match started, Grantham suddenly discovered a bit of form. A header from Lovell looped onto the roof of the net and another effort bounced off the top of the crossbar before they were awarded a penalty with seven minutes to go for an apparent illegal challenge by Jonathan Smith on Lovell. To say that the decision was harsh would be stretching the definition of the word, particularly when you consider the challenge on M&M earlier in the game that he deemed unworthy of such an award, but it did sort of readdress the karmic imbalance caused by the free-kick which led to our third goal. That balance suddenly tipped in Grantham's favour as the game entered stoppage time. A poorly taken corner hit one of the many bumps that make up the Seel Park pitch and brushed off substitute Danny Byrne's arm which was slap bang by his side. Before the ball had hit the ground the Preston official was already pointing to the spot, a decision which seemed to surprise Grantham's players as well as Mossley's. Manship, who'd dispatched the first penalty past Trueman, made his way to the penalty spot only to find that number seven Rodman was preparing to take the kick. A discussion about who should take it turned into an arguement, then a wrestling match followed by a brief fight before Rodman finally threw the ball away and stormed off back to the halfway line in a huff. Those of you who were at Newcastle Town five years ago will probably remember Ally Pickering throwing a strop at not being allowed to take a penalty and recalling how embarrassing it is was to watch your team descend to childish, petty squabbling. However, when it happens to a team you don't support it's absolutely frickin' hilarious! Manship, who'd dispatched the first penalty past Trueman, made his way to the penalty spot only to find that number seven Rodman was preparing to take the kick. A discussion about who should take it turned into an argument, then a wrestling match followed by a brief fight before Rodman finally threw the ball away and stormed off back to the halfway line in a huff. Unsurprisingly he wasn't one forthcoming in his congratulations when Manship reduced the gap to one goal. Sadly for Grantham, but ecstatically for the rest of us, there wasn't enough time left for them to mount another attack from which they could be given another penalty. All in all a welcome three points and Mossley's fifth 3-2 game of the season. Whilst the two late goals scored by the visitors put a dent into a goal difference column that was starting to look a bit healthier after the events of recent weeks, they did give the score a fairer reflection of the overall balance of play. With other results sort of going our way as well, it can probably be officially titled as a good day. Sadly laurel resting will have to be postponed for a good while yet because with sterner opposition than Grantham coming up over the next few weeks, we'll have to show that we can raise our game higher still.